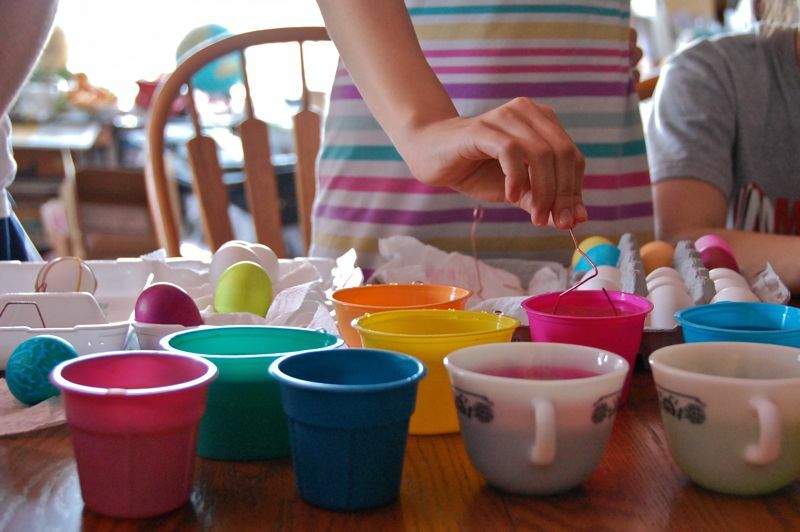 When the girls were younger, we always colored eggs on Good Friday. I made hot cross buns in the morning, we attended Stations of the Cross, then came home and colored eggs. The traditional fish soup was eaten afterwards. Well, our schedule has changed over the years as the girls come and go according to the school break schedules and my church work schedule. We still manage the hot cross buns, church and fish soup on Friday; but the egg coloring was put on hold until Easter Day. It was a nice way to relax after all the Easter busyness. Lee takes care of to smile to signal hint and raises to order an attendant to left for preparation, then gets 2 people to goes toward a company Ge upper level but go. "Ge lord, recent blood cloud palace there seem have action, a great deal of of gathering troops, be like and carry on a war generally, Ge lord do you see whether us want to strengthen defense? "The praying mantis talked at this time.